Either because of elite performances or position scarcity, these six are getting lots of attention. With Early Signing Period behind us, some 2019 recruits have seen their stocks rise in both rankings and the eyes of college coaches. Some of this is due to strong performances at all-star events like the Under Armour All-America Game and Army All-American Bowl. Others had strong senior years, and their highlight tapes have filtered out. And still others are receiving lots of attention simply due to being unsigned at a position of relatively little depth nationally. Here are six unsigned prospects teams are hotly pursuing down the stretch. Recruiting rankings are via the 247Sports Composite. He will go wherever his older brother, Rodney, is also offered. Thus far, LSU and Oregon are the only schools to come through with that offer. Rodney Sopsher is a JUCO prospect, so a scholarship to him would not have to take up four seasons, like it would for a high schooler. It is notable that as of this writing, Alabama has not offered Ishmael’s brother. Sopsher had a good week at the Under Armour All-America Game practices, though he got banged up in the game. Alabama and Ole Miss are expected to get visits. He already visited Oregon. Ealy has some of the best running back moves you’ll ever see. He also has a strong, compact build at 5’10, 205 pounds. He had the best performance of anyone in the Under Armour All-America Game, scoring multiple touchdowns and having several huge runs. As a result, Early has climbed from the 90th-ranked prospect in January of 2018 to the 30th by January 2019, also earning five-star status. 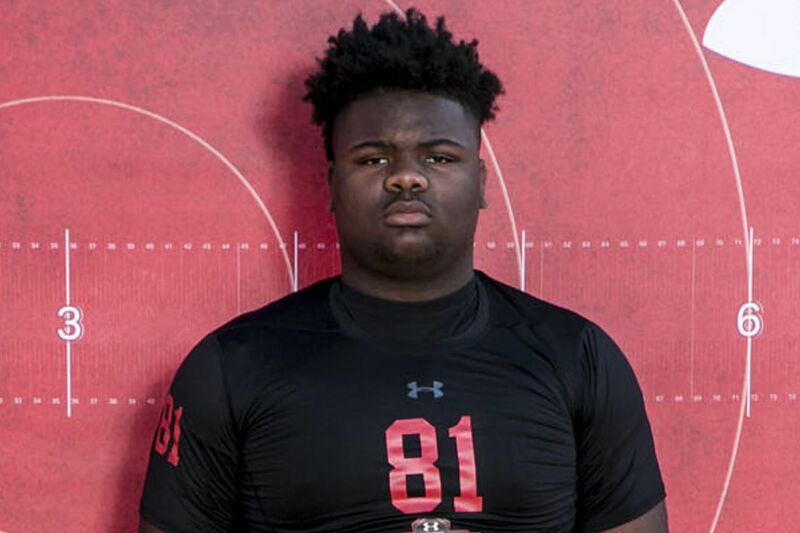 Ealy had been committed to Ole Miss since December of 2017, but last week decommitted from the Rebels. Clemson is considered the heavy favorite to land him. Checking with Clemson sources, the stiffest competition for the National Champs to land his signature might just be the MLB Draft, where Ealy is expected to be a top pick. Cross has moved from the mid-300s in January of 2018, to the top 75 nationally as of June 2019. Cross has an excellent build for a safety at 6’0, 210. He has tremendous track times for that size. In the All-American Bowl, he played center field adeptly, making a number of big hits, pass breakups, and interceptions. Cross is committed to Florida State, but not signed. It is well known in recruiting circles that Cross’ father prefers Penn State, where he’ll visit on the final weekend before National Signing Day. This is shaping up as a Seminoles vs. Nittany Lions battle. For the longest time, sources in the recruiting industry expected Alabama to get To’oto’o’s signature, and the Tide still might. But now, with the loss of defensive coordinator Tosh Lupoi to the Browns, there could be an opening. Lupoi was his primary recruiter. To’oto’o just visited Tennessee, and the Vols believe they made a great impression. But trips to Alabama and Oregon still loom large, and those two are always threats on the trail. Jones has seen his football recruitment explode in the last three months. A truly massive man at 6’8, 360, he is also a serious basketball recruit. Until early November, the best football offer Jones had was from Ball State. Then he added Mississippi State, USC, Florida State, Michigan, TCU, Ohio State, Oregon, Auburn, Florida, and Penn State. That is one heck of a run since Halloween. Because Jones already used some of his official visits for basketball, he only has a few left. The biggest is Ohio State the weekend of January 20. Last January, LeGendre ranked in the 900s nationally. He was coming off an arm injury, and college coaches were not convinced they could get him qualified. But LeGendre seems to have bounced back from his shoulder injury. And either due to work in the classroom, or the lack of elite QBs in this class, coaches are more optimistic about his chances to qualify. He is now considered a top 300 prospect. Tennessee, Florida State, and Miami have all upped their pursuit of LeGendre considerably following the Early Signing Period. He’ll visit each of those schools before Signing Day.